THE AMAZING Apples, Sharon Murphy who impressed Tom Jones on The Voice UK, and the Cinemobile screening Frozen, are just some of the highlights at this year's Westside Community Arts Festival. 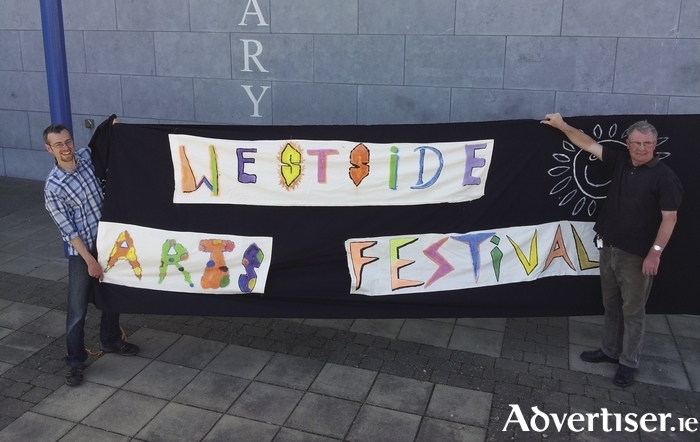 The festival, now in its 11th year, runs from Wednesday July 15 to Saturday 18, and is centered on the theme of 'hope through the arts', and will feature theatre, visual arts, literature, and dance. A highlight will be The Amazing Apples concert on Saturday 18 at 1pm at the Festival Plaza, an outdoor performance area beside Westside Library. One of Galway's leading bands, the indie-folk quintet have enjoyed successful singles and an EP, and earlier this year launched their debut album A Little Sense. The Amazing Apples show is part of a series of events at the plaza which start at 12 noon, with an opening by the Mayor of Galway Frank Fahey, followed by performances from folk-soul singer-songwriter Sharon Murphy, the Galway City Cougars, and Festival Voices; Liam Carroll & Friends at 2pm; and young Galway rock band Ignition at 3pm. Other events are the Mad Hatter’s Fun Bingo in Westside Library on Wednesday 15 from 3pm to 5pm; Westside's Got Talent, showcasing the best of Westside's young performers on Saturday 18 at 5.30pm. arts & crafts, nail art, gardening, puppetry, toys, and henna tattoo workshops at various venues from 1pm on Saturday 18; and an under-12s Youth Disco in the community centre on Saturday 18 at 7pm. The Cinemobile will be on site at the Festival Plaza on Friday 17 to screen Frozen at 2pm and Fast and Furious at 4pm. Admission to all events is free. Children must be accompanied by an adult. For more information see Facebook or call on the Westside Resource Centre on 091- 528325.